Another Jeopardy contestant is making a name for themselves. As their winnings grow, so do the amount of consecutive wins. Here’s a look at the players that have the longest winning streaks in the history of Jeopardy. In April 2019, James Holzhauer made headlines daily with multiple record-breaking single-day winnings and pitching a perfect game along the way. On October 4th, 2016 Seth Wilson won his 12th consecutive Jeopardy! match. With total winnings now over $265,000. The teacher is steadily climbing up the rankings joining recent winners to make waves in the last three years — including Matt Jackson, Julia Collins and Arthur Chu. 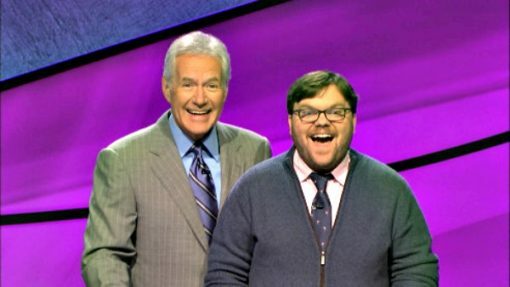 Seth Wilson is a a University of Georgia Ph.D. theater student living in Chicago and is the latest contestant making a name for himself on Jeopardy! There’s all kinds of records to be had on Jeopardy from biggest single-day winnings to perfect games, here are the players that have won the most consecutive games on the syndicated game show. The only two players that are on the total winnings list and not on the winning streak list above it are Larissa Kelly and Roger Craig, both of notched big winnings during their “short” six game winning streak. Our bulleted list of winners, winnings and winning streaks only include “standard” Jeopardy! matches and do not include Tournament of Champions or Teen Jeopardy! wins. For that information, you can go here.